This simple video does a great job of explaining what the Photosynthesis Equation means at the molecular level. - https://www.youtube.com/watch?v=eJQxHoqIPIM It's on YouTube, so it may not work at school. 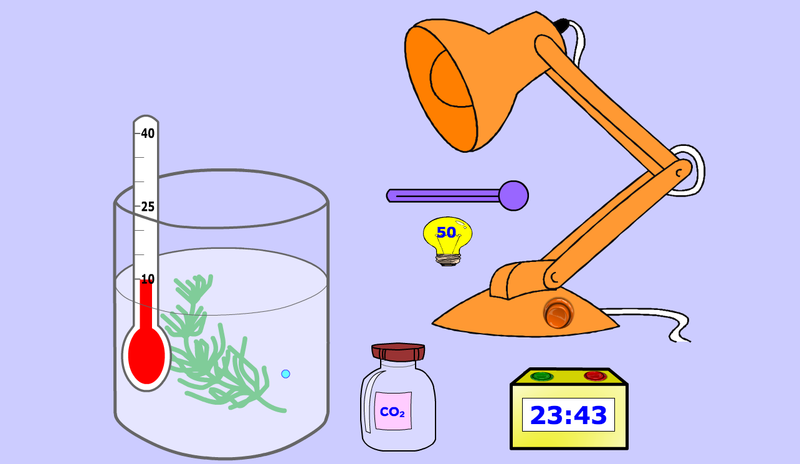 This is just an image... read the rest of the post to find the virtual lab. 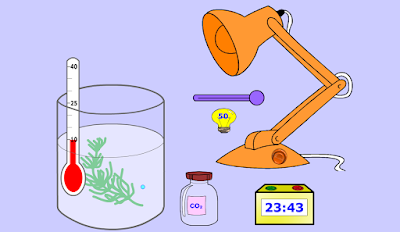 In this lab you will be using a computer simulation to test out different variables to see how they affect the rate of photosynthesis. En este laboratorio va a utilizar una simulación por ordenador para probar diferentes variables para ver cómo afectan a la tasa de fotosíntesis. To get to the virtual lab CLICK HERE. Para llegar al laboratorio virtual, HAGA CLIC AQUÍ. Use the handout to keep track of your experiments and your data. Utilice el folleto para mantener un registro de sus experimentos y sus datos.